Children battling life-threatening illnesses are the stars at a celebrity-filled weekend where ALE Solutions extended a helping hand. 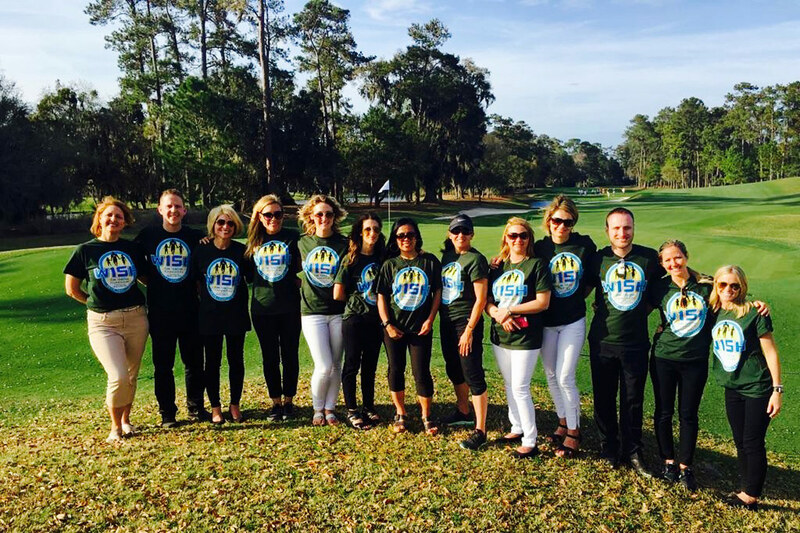 ALECares – the nonprofit arm of ALE Solutions – sponsored 20 families as part of the Tim Tebow Foundation’s (TTF) W15H program during the organization’s Celebrity Gala and Golf Classic March 11-12 at TPC Sawgrass, Ponte Vedra Beach, Florida. “ALECares helps displaced uninsured or underinsured families in their time of greatest need, so it makes sense to partner with the TTF, an organization that brings ‘faith, hope and love to those needing a brighter day in their darkest hour of need,’” said Rowena Zimmers, Founder and President of ALE Solutions and ALECares. For a second year, 15 Team ALE members engaged with parents, siblings and children suffering from life-threatening illnesses during a reunion weekend. Over the past five years, all of the children in attendance have had “made-for-me” moments with Tim Tebow, the NFL football quarterback who has played for the Denver Broncos and the New York Jets, and a Heisman Trophy winner during his time playing for the University of Florida Gators (2006-2009). The free agent also is a college football analyst for ESPN’s SEC Network. The past couple of years, ALE Solutions has provided hotel accommodations for the W15H child and their family to help fulfill their one-on-one dream time with Tim, which could include being on the set of SEC Nation or working out with him, in addition to attending an NFL football game, an awards show or going to Disney World. 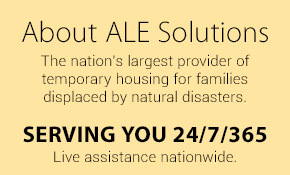 A portion of every temporary housing placement ALE Solutions fulfills goes toward ALECares, enabling ALE Solutions to give back, which include events like the celebrity-filled W15H reunion weekend. ALE Cares sponsored a number of gatherings during the two-day affair which allowed W15H kids and their families to connect with one another, celebrities and Team ALE, building life-long relationships. This year’s reunion event was extra special with it being ALE Solutions’ 15th anniversary year. At an exclusive ALE Solutions gathering with Tim, he said with a smile, “Fifteen is a great number,” referring to his jersey number as the quarterback. “Team ALE was meant to be here this year,” Rowena added. Smiles and laughter were plentiful as attendees forgot their ailments and medical appointments and enjoyed time with Tim and Team ALE. They exchanged hugs and enjoyed talk time at a Fellowship Breakfast, played games together at Dave & Busters, walked the red carpet at a Celebrity Gala and W15H dinner complete with dancing and gaming fun, and snagged autographs and snapped photos at the TPC Sawgrass Celebrity Golf Classic. W15H kids saw more than 20 celebrity golfers including golfer Zach Johnson, former baseball players Chipper Jones and Gary Sheffield, Ohio State Buckeyes Football coach Urban Meyer, University of Mississippi football coach Hugh Freeze, NFL Network’s RedZone Host Scott Hanson, Mixed Martial Artist Brendan Schaub, and Duck Dynasty Star’s Al Robertson and Jase Robertson. ALE Solutions plans to continue its support of TTF. “We thank our customers for trusting us to find temporary housing for displaced policyholders in extraordinary ways. The impact of that trust is meaningful and multiplying, and we are grateful for your part in it,” Rowena noted.